Renderers based in Manchester, working throughout the North West. 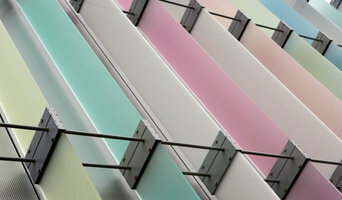 Maple designs and manufactures industry leading facades and building exteriors for projects in all areas of the UK. From concept to completion, we provide a fully tailored service to meet your specific requirements including surveys, design, structural calculations, manufacture and installation of products. With a reputation for impeccable attention to detail and 30 years experience behind us we work with architects and engineers on projects large and small. From our regional centres we are able to serve all areas of the UK. We are proud of the quality of our products and are committed to delivering the highest standards for your project. Wherever your project is, you are in safe hands with Maple. We are Brick Slips Direct in Chesterfield, the leaders in the bespoke brick slip industry, supplying brick slips, stone and timber cladding around the UK. 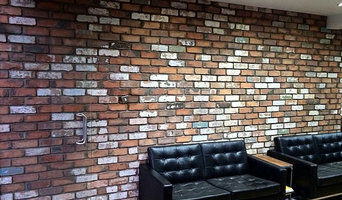 We supply many different types of brick slips from glazed effect slips that provide a great burst of colour, to the authentic reclaimed brick slips that provide a great backdrop for your home or business. If you would like to know more please contact us on 01246 260001 or visit us online and we can help you get started on your next design project! Format NDT Limited provides a comprehensive range of Non-Destructive Testing techniques. On site or Laboratory testing is carried out by our team of accredited test engineers in accordance to all recognized British, European and International standards, operating within the Format NDT' Quality System, which is ISO 9001- 2008 fully accredited through BSI. Some exterior contractors in New Mills, Derbyshire, UK can provide you with planning tools that allow you to see before and after images of your house. Engage with a professional to see what their services offer. They may also need to work with other contractors to adjust framing or roofing to suit your desired exterior. Here are some related professionals and vendors to complement the work of cladding & exteriors: Building Project Managers, Architects, Roofing & Gutters, Home Builders, Design & Construction Firms. 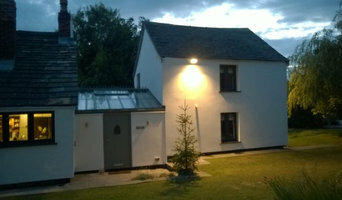 Find a New Mills, Derbyshire, UK home exterior contractor on Houzz. Scroll through this page to find professionals in your area. You can narrow your search by selecting your nearest city or postcode. Browse professionals' latest projects or product photos, read reviews and message them directly.